The Great Depression hit few cities harder than New York — but the city's darkest hour was also the crucible in which today's New York was forged. With the stock market crash of 1929, the Great Depression, at least nominally, began in New York City. The economic cataclysm would hit the nation's largest city particularly hard. Yet amid all this poverty and desperation, certain aspects of New York thrived during the Great Depression. Throughout those ten or so years, it in many ways became the city we know today. 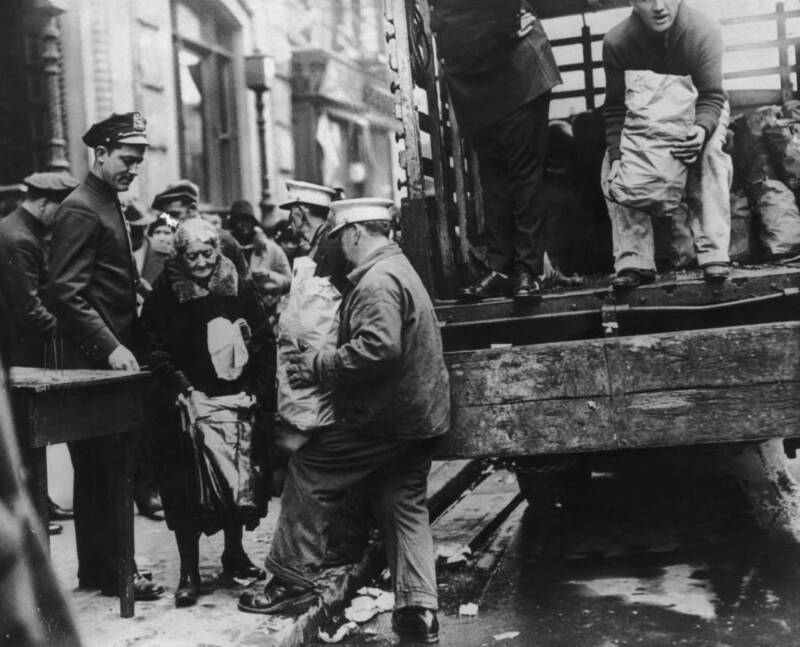 While the true roots of the Great Depression in America are varied and complex, the simplified version of the story begins on "Black Thursday," October 24, 1929. At this point, fears of dangerously rampant speculation saw stockholders dump their assets at record numbers, with the market losing a whopping 11 percent of its value on that one day. Just four days after "Black Thursday" came "Black Monday" and "Black Tuesday," when the market lost a further 13 and 12 percent, respectively, of its value. It was, all things considered, the most devastating stock market crash in the history of the United States. Soon after the crash, tens of millions across the country sank into poverty. 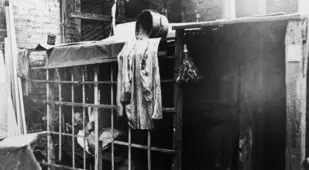 And in New York, by 1932, "half of [the city's] manufacturing plants were closed, one in every three New Yorkers was unemployed, and roughly 1.6 million were on some form of relief," according to the New York Tenement Museum. 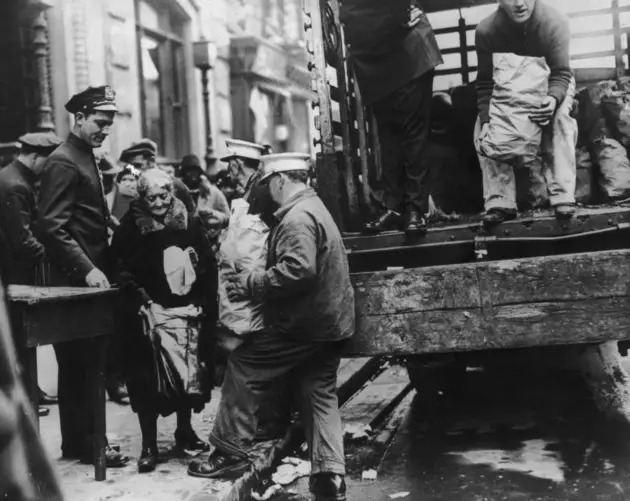 Within six months of the crash, more than 50 breadlines served meals to approximately 50,000 hungry people each day in the Lower East Side alone. 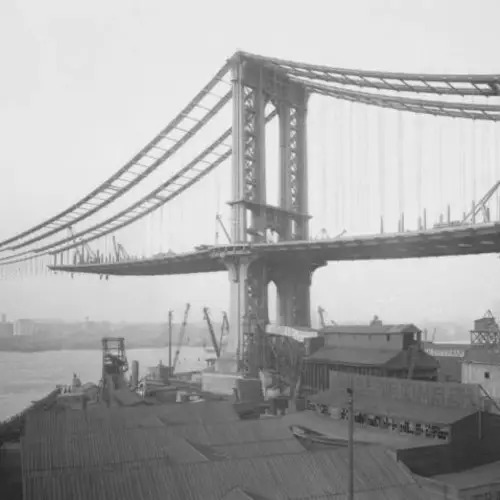 However, while poverty plunged New York to new depths, the city's ambitious construction projects pushed it to new heights. 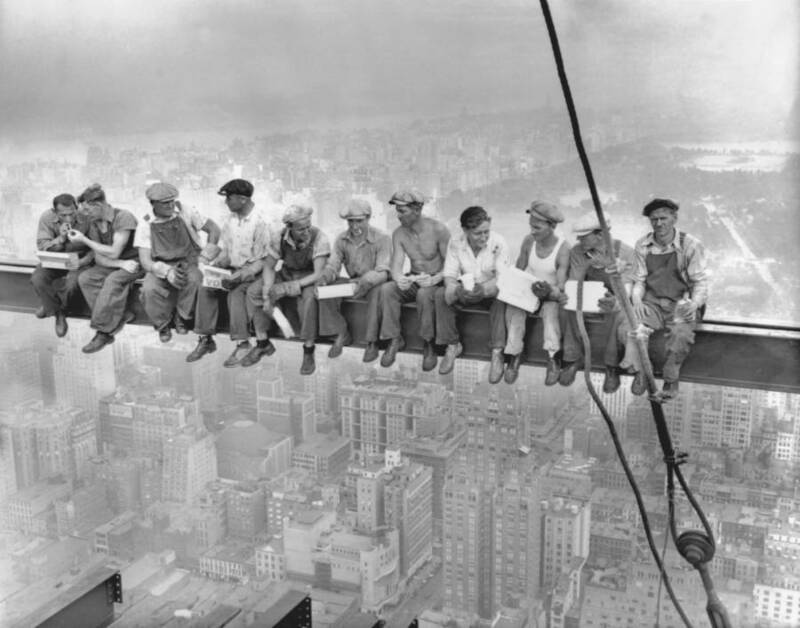 During the Great Depression, the Empire State Building, the Chrysler Building, Radio City Music Hall, Rockefeller Center, the Waldorf-Astoria Hotel, and more were all completed. The first session of the Communist National Convention, at the Manhattan Opera House on June 24, 1936. Leading New York gangster Charles "Lucky" Luciano in his 1931 mugshot following an arrest on charges of leading a prostitution ring. Elected in 1933, Mayor Fiorello LaGuardia helped New York weather the Great Depression as best it could. The city's first ever mayor of either southern or eastern European descent, he unified the city's poor immigrant populations (most of which came from that region). Given his close association with President Franklin D. Roosevelt, he also enacted scores of social and economic relief programs. 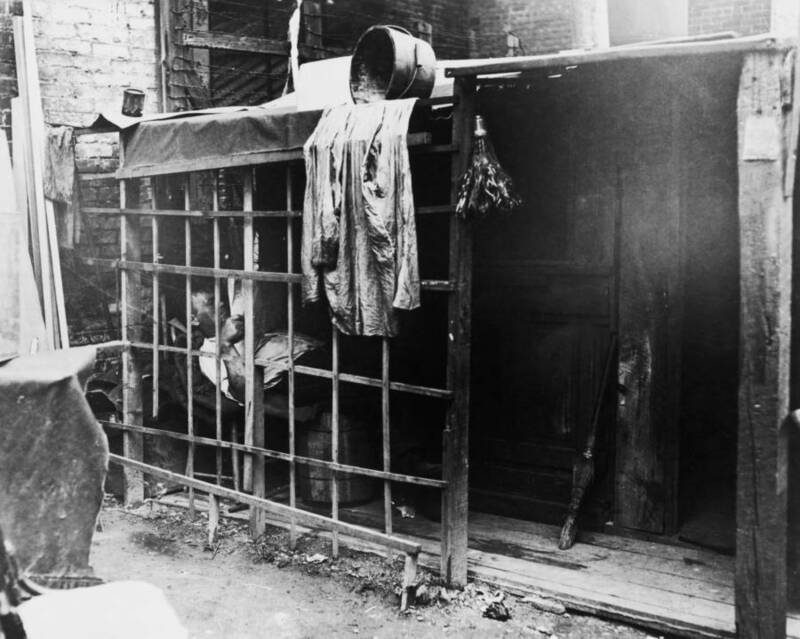 Ultimately, the Great Depression exposed just how bad poverty in much of the city had already been for decades. 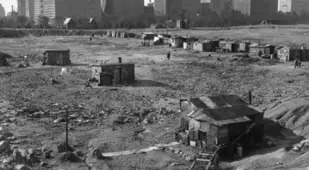 In response, LaGuardia's initiatives saw thousands of slums and tenements fixed, torn down, or rebuilt, making way for a newer, better New York that would see extraordinary economic growth in the coming decades. 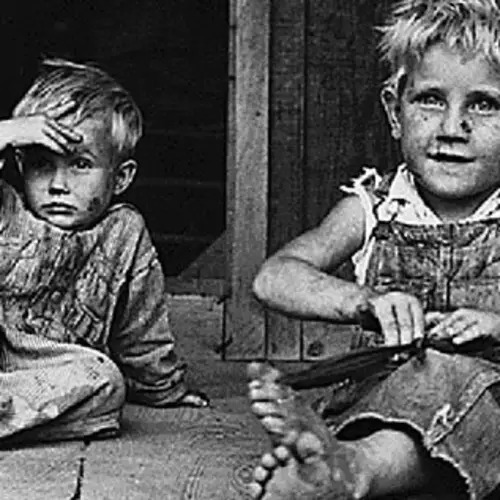 Today, we simply can't truly appreciate the magnitude of the Great Depression. Just nine years ago, the United States fell to its knees as the housing market went bust, Detroit collapsed, and Wall Street crumbled, marking the start of the Great Recession. Within just two years, the U.S. unemployment rate more than doubled, reaching a whopping ten percent in 2009. The crisis went worldwide and ultimately became the worst global recession since World War II. But none of it held a candle to the Great Depression. During the Great Recession, the worldwide GDP fell by less than one percent. 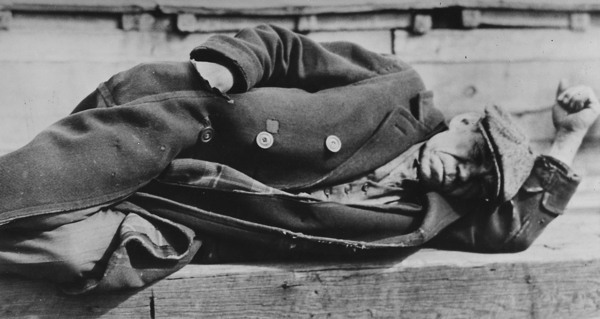 During the Great Depression, that fall was 15 times worse. And in the U.S. in particular, unemployment during the Great Depression increased not by a mere factor of two, but by a factor of six, ultimately hitting historic highs of about 25 percent in 1933. The trouble began in earnest four years earlier with the Wall Street crashes of September and October 1929. Fueled by excessive stock speculation and shaky banking standards unequipped to handle those investments, the crash plunged the U.S. and the rest of the Western industrialized world into the worst economic cataclysm in modern history. 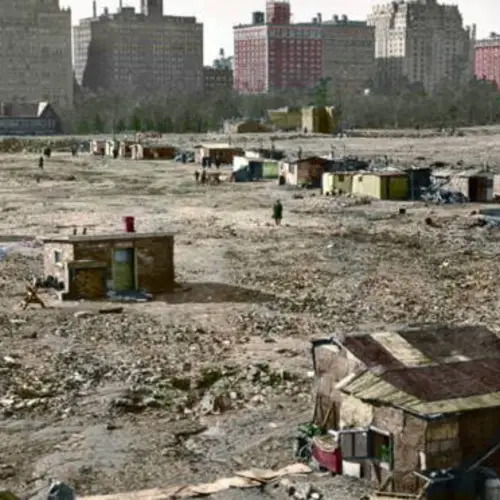 And perhaps no place in America felt the effects of the Great Depression worse than the place where it at least nominally started: New York City. For decades before the crash, both European immigrants and domestic rural migrants had been flooding into New York, causing the city's population to double between 1900 and 1930. With so many new people — many of them impoverished to begin with — pouring in, New York's housing and job prospects were shaky to say the least even before the crash. "By 1932, half of New York's manufacturing plants were closed, one in every three New Yorkers was unemployed, and roughly 1.6 million were on some form of relief. The city was unprepared to deal with this crisis." Yet the city, under the leadership of Mayor Fiorello Laguardia, ultimately proved well prepared to respond to the crisis. 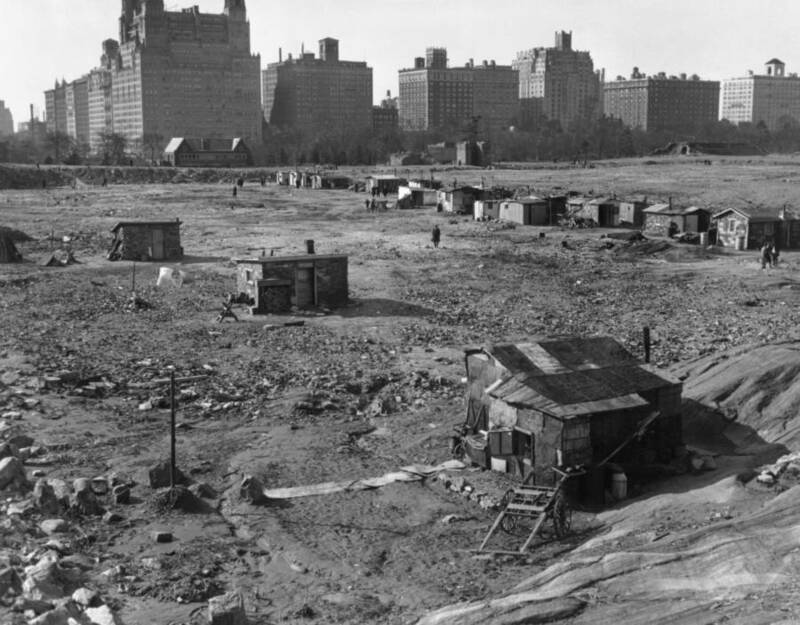 To say nothing of his administration's work relief programs, LaGuardia's housing initiatives shut down 10,000 decrepit tenements (more than half of which lacked central heating and toilets) and forced landlords to upgrade another 30,000. 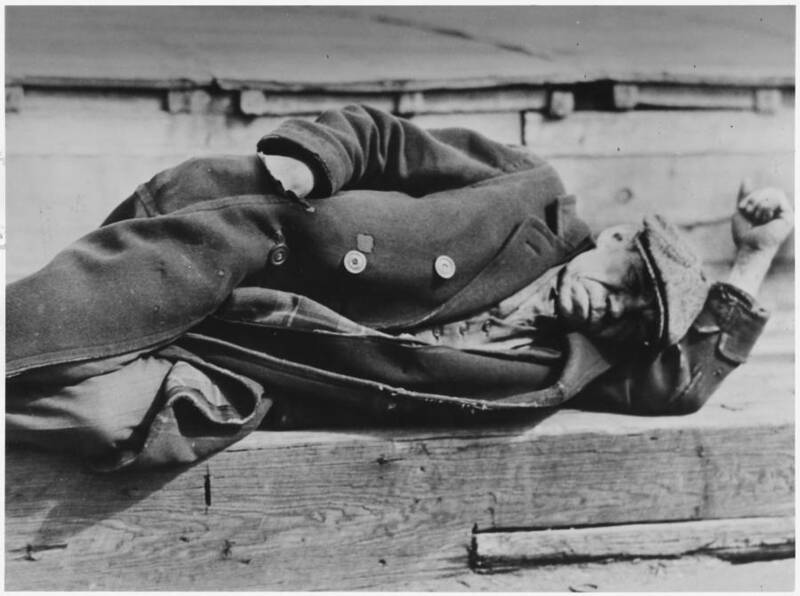 In the end, the Great Depression served to expose the relatively hidden wounds that had been festering in New York for years — or at least force the powers that be to do something about them. And with those wounds cleaned out, the city was able to rebuild into something stronger and become, in many ways, the New York we know today. 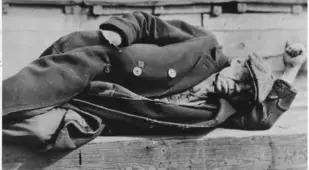 Next, see how the Great Depression crippled the entire nation and African-Americans in particular. Then, have a look at the other hard times that New York City has faced in the 1970s, 1980s, and 1990s.